I hate to sound clichéd, but this science-fiction action hybrid delivers in virtually every single department, with thanks to the kinetic in-your-face direction courtesy of writer-director Shane Black. For those who might remember, Black had a small role in director John McTiernan’s 1987’s action opus “Predator.’ His identity was the part of Hawkins, who meets his demise early in the story. He was part of Dutch’s (Arnold Schwarzenegger) team fighting a camouflaged alien in the jungle of a foreign land. This one is just like the silly “Alien vs. Predator” entries in 2004 and 2007, in that death is taken with a grain of salt. Nothing more and nothing less. With Black’s incarnation of “The Predator,’ any notions of being taken too seriously are thrown out the window early on. 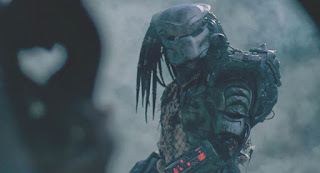 In 2010, the studios, and more specifically filmmaker/producer Robert Rodriguez, tried to make a serious movie with director Nimród Antal taking the “Predator” franchise in a different direction. It didn’t work, so the idea of putting Oscar winner Adrien Brody as an action hero kind of blew up in the studios faces. The story took place on a foreign planet, one that existed in another reality altogether, not in the modern day America we know. At the center of the story in “The Predator,” is returning soldier Boyd Holbrook’s Quinn McKenna who sent himself some alien artifacts he found overseas. Cummings is paired with a bus full of misfit soldiers, including Thomas Jane’s Baxley, a soldier with a coarse vocabulary who suffers from Tourette syndrome. It is amusing, but highly inappropriate, but still amusing nonetheless. Also on the bus are Keegan-Michael Key’s Coyle, a close friend of Baxley’s, Trevente Rhodes’ Nebraska, Alfie Allen’s Lynch, Augusto Aguilera’s Nettles along the way, they pick up Olivia Munn’s Casey Bracket, who witnessed firsthand what The Predator can do. She comments that calling it The Predator is a misnomer, because it is another entity altogether. Jacob Tremblay is solid as Rory McKenna, a disabled child who opens up when anything to do with math is involved. His character is constantly bullied at school, but when he finally sticks up for himself on a trick-or-treat rendezvous, his encounter with bullies will be no more. In a twist of irony, Jake Busey appears as a scientist investigating some “Predator” artifacts. His father, Gary, appeared in “Predator 2” as a scientist named Peter Keyes, who meets an untimely demise. Black is an exceptional director as well, as well as writer, having dipped his hands in the Marvel universe with “Iron Man 3” in 2013. He also did a great job with 2016’s “Nice Guys” with the powerhouse teaming of Oscar winner Russell Crowe and Oscar nominee Ryan Gosling. The pair shared great on-screen chemistry that looked and felt genuine. 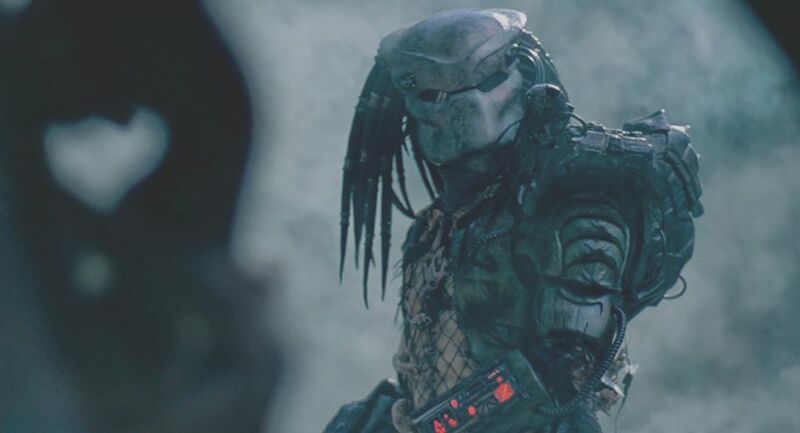 “The Predator” is a must for the big screen, because the entire aura and scope of the movie is larger than life. I would recommend this when it goes to the discount houses, because it’s not necessarily worth the ten dollar plus admission price of tickets nowadays.